The process of transmitting information between a person and equipment is called as communication. The process of communication can be of different forms like verbal, non verbal, print and electronic. An electronic communication system consists of three parts: a transmitter, communication channel and a receiver. Electronic communication can take place in one-way or two-way transmission mode. One-way communication mode is a simple communication wherein a receiver lacks the ability to communicate back. The two-way communications may be half duplex or full duplex communication wherein a receiver can communicate with the transmitter. A Satellite communication is a technology that is used to transfer the signals from the transmitter to a receiver with the help of satellites. It can be used in different mobile applications that involve communication with the ships, vehicles and radio broadcasting services. The power and bandwidth of these satellites depend on the specifications like complexity, size and cost. 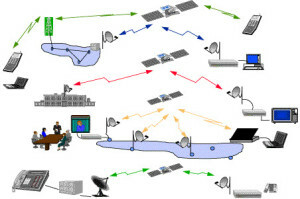 Satellites can be used in these applications: weather forecasting, satellite-based military applications, global telephones connecting remote areas, global mobile communications, radio and TV broadcasting, and so on. Satellite services are classified into three types based on the frequency allocation. Frequency allocation is a typical process done with the help of international coordination and planning. Satellite services include fixed satellite service, broadcasting satellite service and mobile satellite service. This article mainly focuses on the mobile satellite services and their types as mentioned below. 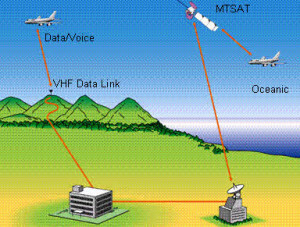 Mobile satellite service (MSS) is the term used to describe telecommunication services delivered to or from the mobile users by using the satellites. MSS can be used in remote areas lacking wired networks. Limitations of MSS are availability of line of sight requirement and emerging technologies. Space segment: Space segment is equipped with satellite pay-load equipment. 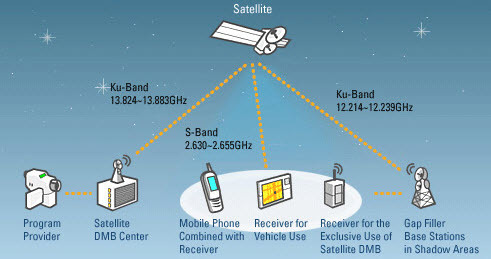 The Pay load is used to enable the ability of the satellite for users in space communication. User segment: The user segment consists of an equipment that transmits and receives the signals from the satellite. Control segment: The control segment controls the satellite and operations of all internet connections to maintain the bandwidth and adjust power supply and antennas. This service consists of different types of earth stations such as mobile earth station (MES); ship earth station (SES); and communication earth station (CES).This service is mainly used in shipyards and military ships. In this type of service, the mobile earth station located on ships provide commercial and safety communication. 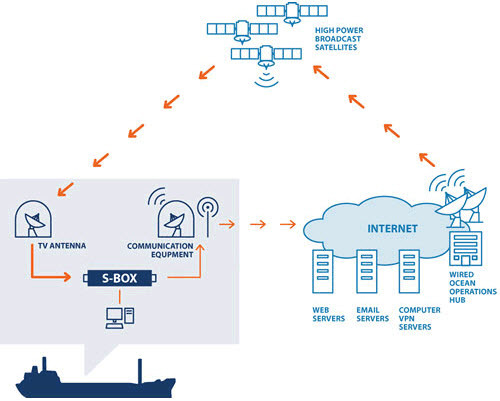 MMSS service enables mobile satellite link between the communication earth station and the ship earth station or between two associated ships and other satellite communication stations in all positions in sea or in ports. A maritime terminal is a portable or fixed on the board ship, whereas the communication earth station is a maritime earth station located at a specified fixed point on the coast to provide a feeder link for MMSS. The ship earth station is a maritime earth station fixed on board ships or other floating objects that provide the communication links with the subscribers onshore via a communication earth station and a communication space craft. 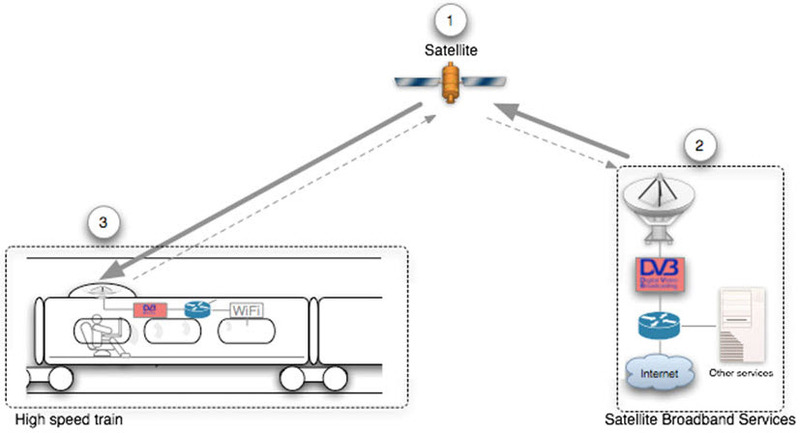 The Land mobile satellite service has a mobile earth station located on different types of trains and other transportation systems. This service consists of a personal location beacon terminal that acts as an earth station. This service can be used in different applications such as military applications remote and rural environments. LMSS enables a mobile link between the communication earth system and the vehicle’s earth system or two or more vehicles’ earth stations or two MSC stations. The communication earth station is used as an earth station to be located in a specified fixed point on the coast to provide a feeder link for LMSS. 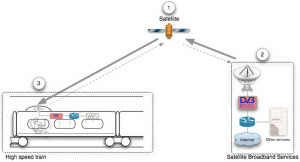 The VES is a land mobile earth station fixed on the board or rail line to provide a communication link between the terrestrial subscribers through VES and communication spacecraft. The land vehicle or person alerts the service for distrain or safety in the LMSS system. A mobile satellite service in which earth stations are located onboard aircraft, survival aircraft, airplanes and helicopters is known as aeronautical mobile satellite service (AES).This service is also used in business and private communication and traffic control. This service consists of various earth stations like a mobile earth station, an aircraft earth station and a ground earth station. A special emergency locator terminal which is either fixed or portable onboard is used as earth station and enables the link between the ground earth station and the aircraft earth station. The AES is an aeronautical earth station that is fixed on board to provide a communication link with the subscribers on land via GES and space craft. This is mostly used in the aircraft applications as it provides safety through the radio communication to control flight locations and the movements of light and the positions of aircraft on land as well. This is a communication service provided by the satellite for supporting mobile, fixed and broadband communication systems. The satellites can be geo-stationary or non geo-stationary satellites. This service consists of two earth stations: base earth station and personal earth station. It also consists of a PLB terminal which is used in this service for the coordination of the mobile system. This type of service enables a link between a base earth station and personal earth station, or between a personal earth station, or between an earth base station and two satellites using the same satellite providers. It is a handheld terminal carried by an individual or fixed on board. 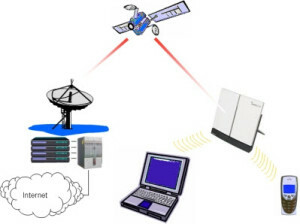 It provides two communication links for subscribers by satellites through gateways or personal earth station. A broadcast satellite system service is a one-way radio communication solution that transmits signals by earth stations, and retransmits the signals by space stations. The present broadcast mobile satellite service operates at a frequency of 12 GHz. This service is equipped with very small terminals used for transmitting signals from small antennas. This service can be used in applications like ships, airlines and TV broadcasting systems. This is all about the mobile satellite service or communication system. You might have gained some valuable insights out of this article, after thoroughly reading it. However, for further details, suggestions, and comments, you can comment in the comment section below.